Ever wondered about the history of Strathbungo, or who lived in your house before you? 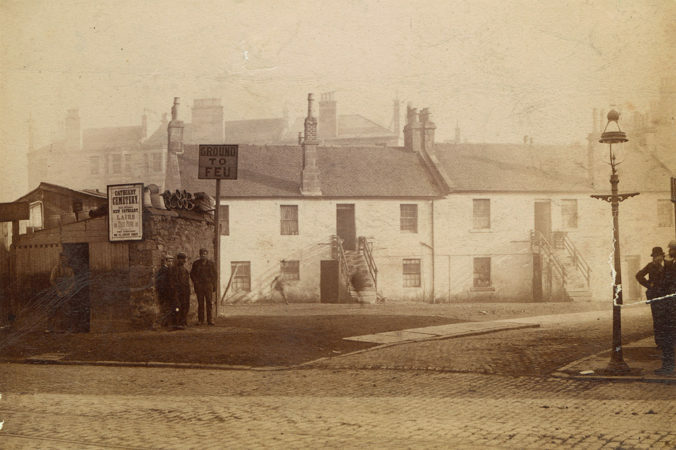 This site collects together pretty much everything we know of the history and development of Strathbungo and the surrounding area. As the site expands, we will continue to add documents about various aspects of local history, original sources, and photographs. A searchable database lists every local property, who built them, when, and some of those who lived there. You can now see who lived in your house before you! Just select Address Search or People Search, and start exploring. There are currently almost 6000 individuals listed, mostly from 1865 to 1940. We already know of Greek Thomson and Rennie Mackintosh, but there were also other architects, military men & footballers (and one who was all three! ), ministers, doctors, and a secret service agent. Do you still have the deeds for your property, do you know of notable former residents, or have any old photos of the area? If you are interested in contributing, please get in touch. You can use the Keep in Touch page to join the Strathbungo Society and/or BygoneBungo mailing lists, or the Submit page to send material. And add your own comments to the posts on the site.